Was ozone successful in treating West African Ebola patients? I am sure many of you are wondering how Dr. Rowen and Dr. Robins did on their trip to Sierra Leone. And I'm betting that very few of you will be able to guess what happened. Just to recap, about four weeks ago, I reported that past Second Opinion editor Robert Rowen, MD had teamed up with Dr. Howard Robins to bring ozone therapy to West Africa. Why? It's because ozone therapy has been successful in treating every viral infection we have ever tried it on from hepatitis C virus to West Nile virus to herpes virus — all of them. 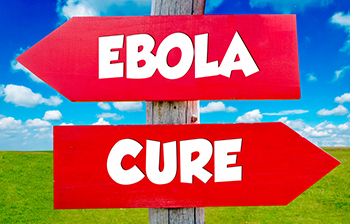 So it made complete sense to think that it might also be an effective treatment for Ebola virus. But was it to be? The first day they were there, they were able to teach about 85 doctors, nurses, and health care workers about the anti-viral and immune stimulating effects of ozone therapy. On day two, the doctors went to the hospital in Freetown where they trained 30+ doctors and nurses how to administer the therapy. For those who are not yet familiar with ozone therapy, it is safe, easy, and inexpensive. And using it is only slightly more complex than your basic IV therapy. On day three, they trained 20 more doctors. They even went to the home of the president of the country, Dr. Ernest Bai Koroma to demonstrate the treatment process to him. Things were looking good. After meeting with several high level officials, it was agreed that the following day 10 patients who had been recently diagnosed with Ebola would be treated. And then it got even better when the newly appointed Ebola chief, the Minister of Defense, retired Major Palo Conteh gave his approval for the project. The following day might make history. According to the local statistics in Sierra Leone, of the 10 patients who were going to be treated with ozone, six would have normally died. If ozone therapy could save them all, that would have been a major victory. But it was not to be! Just before the treatments were about to be given, a phone call came in from the health ministry telling the doctor in charge, "If you want to keep your job, you will not permit any ozone treatments in the center." I'll leave you to conclude why this sudden change of face. I'll leave it to you to ponder why a safe, inexpensive therapy with a successful track record for viral infections was forbidden to a group of patients the majority of whom were sure to die. I'll leave it to you to connect the dots. How could it happen that the health ministry, which was the only collection of high level officials that did not attend the trainings, could possibly find a reason to forbid any safe, inexpensive, oh, and yes, unpatentable and unprofitable therapy to be given to these dying patients? But fortunately, that is not where the story ends. Yes, the good doctors Robins and Rowen are now back in the U.S. We thank them for their valiant efforts. And yes, they have finished their three-week observational confinement. And yes, happy to say, they are completely healthy. But all is not over. Just last week, the group I founded, the American Academy of Ozonotherapy sponsored another project, which is on the ground and operating as we speak. We are not giving up. We all are sure that the urgency of the situation in West Africa is so intense that ultimately the truth must come out. I will have more on this latest project in a few more weeks. Please stay tuned.